Fun golf and great value. 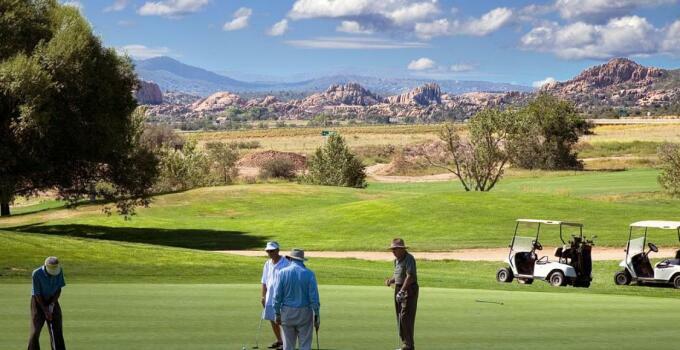 It's a winning equation for Antelope Hills Golf Courses, the Prescott, Ariz., course BCG started managing this spring after entering a five-year agreement with the city government. One of the first things Team BCG did coming into the course was to introduce its signature Advantage Card, offering a free round of golf and discounts on subsequent rounds for just $79. The BCG team was happy to report to the city this week that they've sold some 800 Advantage Cards. The result? An increase of 3,000 rounds in July and August. Naturally, the city council was pretty happy to hear the news -- and that more was still to come. Councilman Charlie Arnold said, "I'm excited about what you're doing."